In these lessons, students will engage with the themes and ideas at the heart of the text, including family, secrecy and time. Tasks include: a close analysis of time in Juliet's 'Gallop apace, you fiery-footed steeds' soliloquy; an exploration of foreshadowing in the play; and a list of practice exam questions with an emphasis on themes and motifs. Can I identify why the themes of truth and secrecy in Romeo and Juliet are important and pick out examples from throughout the text? Students should come up with three examples of when someone or something in the play is disguised, hidden, done in secret, kept a secret, etc. You could take feedback and build a mindmap on the board that students could copy into their Student Booklet. An additional/homework task could be to add textual references. Students should use the mindmap from the ‘Prologue’ activity to help them track the themes of truth and secrecy in the play. Students could be divided into five groups, each taking one act from the play that they should read through carefully, looking for evidence before reporting back. Students could also prepare a sheet of evidence that can be made accessible to all their classmates as a revision aid. Students should aim to keep quotations short (under 10 words), and write a brief commentary about how their quotation links to the overall theme. They should repeat this exercise for the play’s other themes on the appropriate pages of the Student Booklet. Assign to groups the task of staging Act 4 Scene 5. Make notes around the scene in the Student Booklet that reflect the importance of these themes in the scene. Try to make links to other parts of the play by cross-referencing. Why are truth and secrecy important themes in the play? How do these themes link to the other major themes in Romeo and Juliet that I have studied? Everyone in the class picks out three key moments that they think are particularly important to bear in mind when thinking about the themes of truth and secrecy. Compare findings. Courts wanted to make sure that all marriages were legal, so they punished priests who performed weddings under irregular circumstances. Other people, including the parents, could challenge a marriage that they did not think was lawful, and have it declared void. All three could be forced to pay a fine or serve public penance for their actions. Further materials relating to this theme in Romeo and Juliet can be found in the Key Stage 3 materials under Characters, Themes and Language, and in the Key Stage 4 materials under Text in Performance. Can I identify why the theme of family is important and pick out examples from throughout the text? Can I track the overall development of this theme? This drama game is taken from Jessica Swale’s book. One student is the wolf, one the sheep and the rest of the class hold hands and create a protective ‘fold’, who must move as one to protect the sheep in their care. Students could take it in turns to be ‘wolf’ and ‘sheep’, and then discuss who in the play acts like a wolf, like a sheep, or as part of a protective ‘fold’. This activity can be done in two ways: as a quickfire snapshot activity, or by photographing and framing pictures that students take in class of their tableaux. They could even make use of props, clothing and backdrops. Students need to sculpt and position themselves and each other to produce portraits of the two families/households. How would the portraits change as the play moves on? Students should prepare a reading of this scene for the rest of the class. As they rehearse the scene, they should discuss what it shows us about the relationship between Juliet and her parents, recording their ideas about these relationships in the Student Booklet. Students could closely examine Act 3, Scene 4, lines 1-21, and make annotations in the Student Booklet. Enter old Capulet, his wife and Paris. That we have had no time to move our daughter. And so did I. Well, we were born to die. ‘Tis very late; she’ll not come down tonight. I would have been abed an hour ago. PARIS: These times of woe afford no time to woo. Madam, good night; commend me to your daughter. I will, and know her mind early tomorrow. Tonight she’s mewed up to her heaviness. 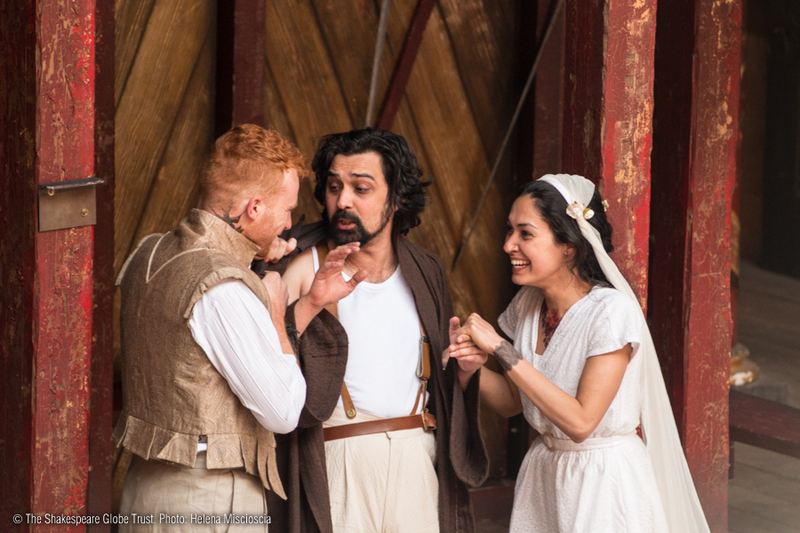 Paris offers to go in and Capulet calls him again. But soft, what day is this? CAPULET: Monday! Ha, ha. Wednesday is too soon. Why is family an important theme in the play? How does the theme of the family connect to some of the other major themes in Romeo and Juliet? How do the scenes between Lord and Lady Capulet and Juliet help us to understand their relationship? How important is the ‘generation gap’ in this play? How does Shakespeare establish a contrast between the attitudes and emotions of the older and younger characters? How have any productions or adaptations you have seen made use of the idea of inter-generational conflict? Students could compare the relationship between Juliet and her father with other plays by Shakespeare that explore this relationship. Examples of a controlling father and a spirited and determined daughter include the relationships in The Taming of the Shrew and The Merchant of Venice. 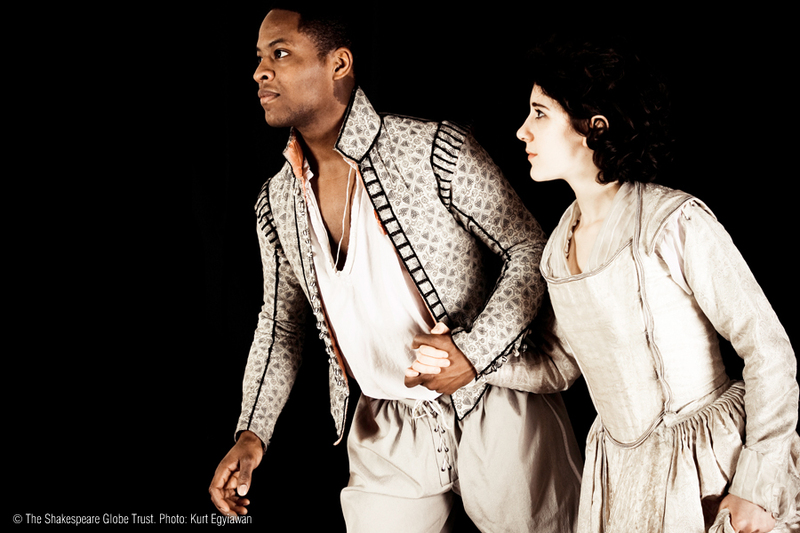 In Shakespeare’s time, women typically married at age 24-26. Men usually waited until age 27-29. Many men had to finish an apprenticeship and save money to set up a home. Because people were encouraged to marry someone from the same social class, children of wealthy people had fewer suitable choices. A woman’s father would negotiate a marriage contract for her saying how much he would give as a dowry (money or property given to her husband on the wedding day). There is an interesting text about the differences between the older and younger generations in the play on the Playing Shakespeare with Deutsche Bank microsite: 2013.playingshakespeare.org/generation-gap.html. Further resources about Juliet and her family can be found in the Key Stage 3 materials under Characters. Can I identify why the themes of age and time are important in the play and pick out examples from throughout the text? Ask students to open the play text at a random page and to scour the dialogue on that page for a reference to time, however brief. Share findings as a class. 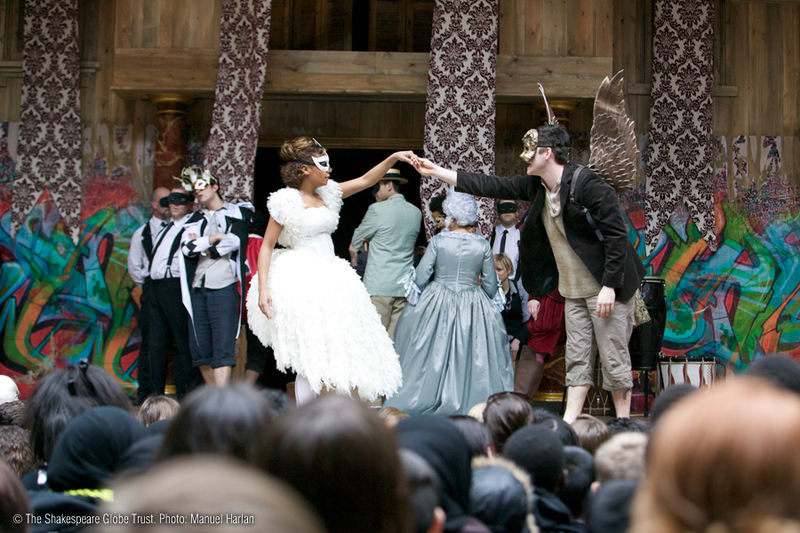 The events in the play take place over a period of days rather than months (as per Shakespeare’s source material). Create a timeline of events, including quotations and pictures for the Student Booklet. How do problems with timing and the sequence of events lead to the play’s tragic outcome? Students should prepare a reading of their scene for the rest of the class. As they rehearse the scene, they should notice references to the importance of time and how this might be reflected in their performance, e.g. are the characters in a hurry, agitated, lazy, relaxed, anxious? They should add stage directions for the actors and any other ideas they have about creating a particular mood in relation to time. For example, how might music be used to create a mood of haste or urgency? Students could closely examine Juliet’s soliloquy from the beginning of Act 3 Scene 2, and make annotations in the Student Booklet. Before reading, students should recap what has happened directly before this scene and add this to their notes. Leap to these arms, untalked of and unseen. Played for a pair of stainless maidenhoods. Whiter than new snow upon a raven’s back. Ask students what happens next in this scene and to add this information to their annotations. Discuss the idea of dramatic irony in relation to this scene and to a particular staging of it. Why is time an important theme in the play? How does the theme of time connect to some of the other major themes in Romeo and Juliet? What is the dramatic effect of events following on so closely from one another? The Montagues and Capulets had a long history of feuding, however, a ‘glooming peace’ is reached between them following the deaths of Romeo and Juliet. Read the very end of the play again, i.e. Act 5, Scene 3, line 291 onwards. What is said about the future? Shakespeare reduces Juliet’s age from sixteen in Brooke’s version to only thirteen in the play, and she is due to be fourteen in just over a fortnight. Students could think about the symbolism of these numbers – the unlucky connotations of thirteen and the association of the number fourteen with the sonnet form, used so much in this play. Students could also place these ages in their historical and social context. What is Lord Capulet’s view of her age in relation to getting married? When did Juliet’s mother marry and become a mother? Students could compare the endings of several Shakespeare plays, e.g. A Winter’s Tale, The Merchant of Venice, Hamlet. How are the past events of the play summarised in the closing lines? What is said about the future? Can I identify why the themes of fate and death are important, and pick out examples from throughout the text? Can I reflect on what makes Romeo and Juliet a tragedy, and who or what is to blame for the protagonists’ untimely deaths? How much does the play have in common with Shakespearean comedies? What kinds of words and motifs recur in the play to give these tragic hints? What do these references tell us about the characters’ belief in fate or destiny? Students are to imagine that the police chief of Verona is conducting an investigation into what caused the deaths of Romeo and Juliet. Students need to write the police chief’s report using textual evidence to support each point. The purpose of the report is to establish to what extent Romeo and Juliet are responsible for their own deaths. Paragraph 3 would give the police chief’s verdict on who or what is responsible for the deaths of Romeo and Juliet. To what extent do you agree with the critic John Wain that Romeo and Juliet is “essentially a comedy that turns out tragically”? Why is death an important theme in the play? How does this theme link to the other major themes in Romeo and Juliet that I have studied? Everyone in the class picks out three key moments that they think are particularly important to bear in mind when thinking about fate and death. Compare findings. Students could stage a series of interviews as part of the police investigation. Ask students to consider how many characters die in Romeo and Juliet, at which point in the play, and whether the deaths occur on or off stage. Students will find a gruesome top five of Shakespeare’s bloodiest plays in the blog post ‘Shakespearean tragedies by body count’ at deadgoodbooks.co.uk/shakespeare. The critic A. C. Bradley did not consider Romeo and Juliet to be the equal of Shakespeare’s four great tragedies and leaves the play out of his book Shakespearean Tragedies entirely. Another critic Frank Kermode gives a different view when he says that in Romeo and Juliet, Shakespeare ‘called for new thinking about tragic experience, now less remote from ordinary life’. The creative writing task could be dual-assessed for reading and writing. Students could be given an item and have a minute to prepare an explanation of how it relates to the play. The items can be chosen at random (e.g. a ball, pencil, a coat), as the idea of this activity is that it is a fun-thinking, skills warm up to the activity that follows. Ask the class to imagine they have been asked to create a display about Romeo and Juliet for a new Shakespeare museum. They can only have five items for their display. Students should choose five items that they think convey the essence of the play, i.e. not just the plot, but the play’s overall mood and the ideas which the play makes audiences think about. Students could be given a list to choose from, e.g. dagger, vial of poison, mask, letter, sword, invitation, bed, herbs/drugs, tomb, wall, heart. They are welcome to add their own ideas as well. Their items do not even need to be mentioned in the play; students simply need to be able to justify their reasons convincingly. As an extension task, students could write captions for the museum with a word limit of 100 words per item. Students could use the card game mentioned in the Key Stage 3 materials, which generates different aspects of the text in a random way. Students can challenge themselves to make creative connections between them! Write about the importance of conflict and death in Romeo and Juliet. To what extent are Romeo and Juliet in control of their destinies? 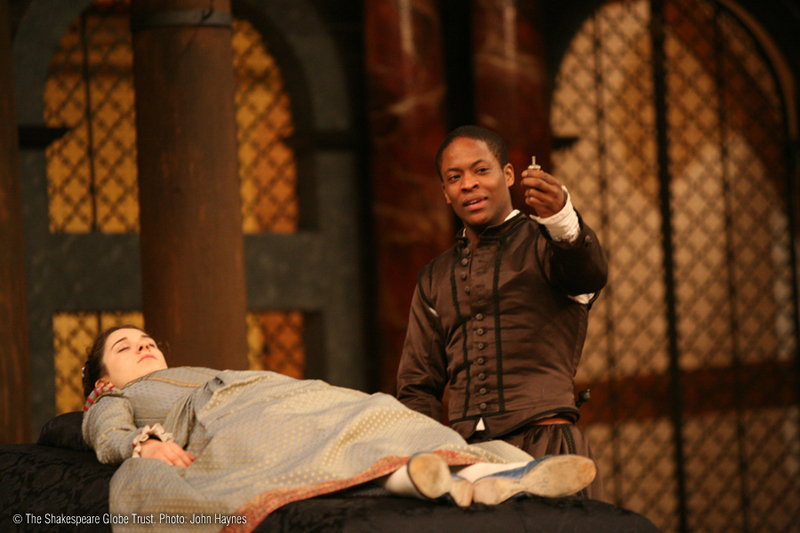 What do you think Shakespeare is saying in Romeo and Juliet about fate and free will? ‘Romeo and Juliet is above all a play about youthful rebellion’. How far would you agree with this statement about the play?